Mat 9:2 And, behold, they brought to him a man sick of the palsy, lying on a bed: and Jesus seeing their faith said unto the sick of the palsy; Son, be of good cheer; thy sins be forgiven thee. Mat 9:22 But Jesus turned him about, and when he saw her, he said, Daughter, be of good comfort; thy faith hath made thee whole. And the woman was made whole from that hour. Mat 15:28 Then Jesus answered and said unto her, O woman, great is thy faith: be it unto thee even as thou wilt. And her daughter was made whole from that very hour. Mar 10:52 And Jesus said unto him, Go thy way; thy faith hath made thee whole. And immediately he received his sight, and followed Jesus in the way. Luk 17:19 And he said unto him, Arise, go thy way: thy faith hath made thee whole. Here in this chapter of Luke Jesus is on the way to Jerusalem and is passing through a village where he is met by ten lepers. These men ask for Jesus to heal them and Jesus tells them to go and show themselves to the priest. As they were going one of them notices that he has been made whole and comes back to Jesus to worship and thank Him. Jesus again mentions that it was “his faith” that made him whole. Every time Jesus only mentions one thing and every time it is the same thing. Jesus never commends anyone for anything else other than when they had faith. What you should do is go through and reread all of the Gospels and see if you can find anything else that Jesus ever emphasized to be a determining factor for anyone being saved, healed or delivered? I know there are times in the Bible that Jesus does not mention anything as being a factor, but every time that I saw Jesus mention anything, it was always the faith of the people that was the determining factor to if they got healed or not. This is the way the Bible was written and it gives man the choice to believe it or to reject it. But, if you can see it and understand it, I believe that it will dramatically change your perspective on what God thinks is important. If Jesus who was God in the flesh says that faith is a critical spiritual reality to possess, then I believe that we need to study the subject to find out what it is that we are missing. I’ll end this lesson with one more scripture found in the New Testament that is very revealing. Here is a key verse that describes to us about when Jesus comes back to the earth, what exactly He will be looking for in His people. You can again see how faith is being emphasized as being a critical factor to possess. It also seems to put the responsibility in our court to whether we have it or not. Why would God be looking for something that He knew we already had? It really does not make any sense, if it is not our responsibility to get this faith before He returns for us then Jesus would not need to look to see if we have it. If it is not up to us to get it, then Jesus does not need to check for something called faith to exist when he returns. I hope that you understand this logic. Mat 9:29 Then touched he their eyes, saying, According to your faith be it unto you. 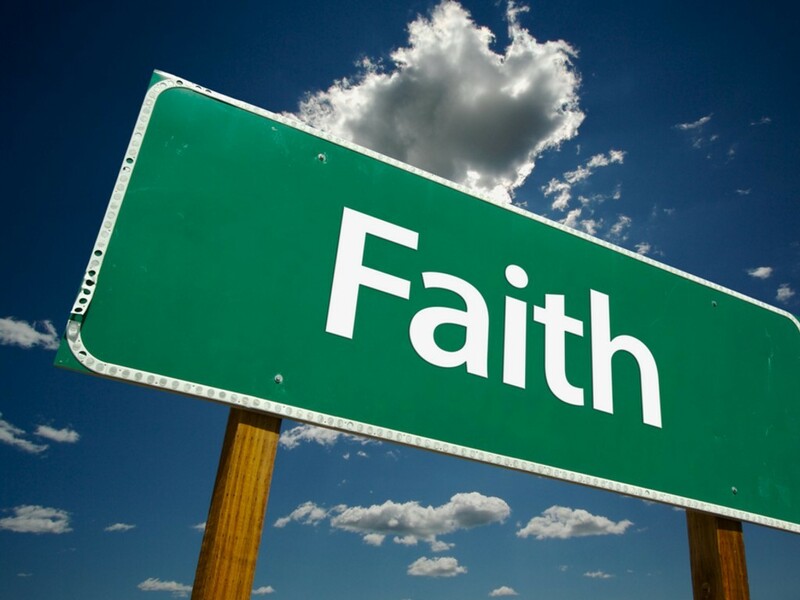 Luk 18:42 And Jesus said unto him, Receive thy sight: thy faith hath saved thee. These are some of the major scriptures found in the Gospels that reveal faith to be the determining factor for receiving from God. It is very clearly the only thing that God was looking for and it is the only thing that pleased Him to allow the people to receive. Reread these verses very carefully and you will begin to understand the importance of faith today to receive from God. The Bible instructs us to let every word be established in the mouth of two or three witnessess (2 Cor 13:1). I have just given you two different writers and six different verses and that satisfies the requirement exclusively. If you choose not to beleive them then that is your problem and not mine. Faith is visible and observable in the actions of people. Faith is the determining factor for salvation, healing and deliverance. Jesus never mentions any other factor for a person being made whole, other than their faith. Jesus is expecting to find faith when He returns for us very soon. Do you have the faith that Jesus is looking for? Faith appears to be a critically important subject in the New Testament and it is certainly taught to be the determining factor of whether or not you are a Christian and whether or not you are ever to be made whole. Jesus rebuked his disciple constantly for having no faith or little faith. Then Jesus would look at people who got healed and tell them that it was their faith that caused it to come into reality. Jesus obviously thought faith was important and you need to understand this importance in order to figure out what Bible faith is. We will discuss more about Bible faith in the next lesson, so please continue to grow in the knowledge of God. God Bless. If you would like to continue reading about Bible Faith, you may continue to “Part 3“. Posted on January 6, 2011, in Bible Study, Faith, Understanding and tagged Bible, Christianity, Church, Faith, God, Holy Spirit, Interpretation, Jesus, Prophecy, Salvation, Truth, understanding. Bookmark the permalink. 2 Comments. another interesting thing I read somewhere..is that For the jews it was easier for them to believe God for a miracle healing than it was to believe God to be forgiven of sin…For us it is the opposite! One thing I wanted to share about the issue of Blood…when she pressed through the crowd to touch the hem of Jesus garment…. Jesus was wearing the Jewsih prayer shawl that very jewish person wears and on the hem was sown in the word of God…….So she was Saying if only I can touch the words of God I will be healed…. So faith in the word of God and the promise in it she was speaking it even to herself and obedience I believe these are the 3 components to a divine miracle…. I have been healed this way..